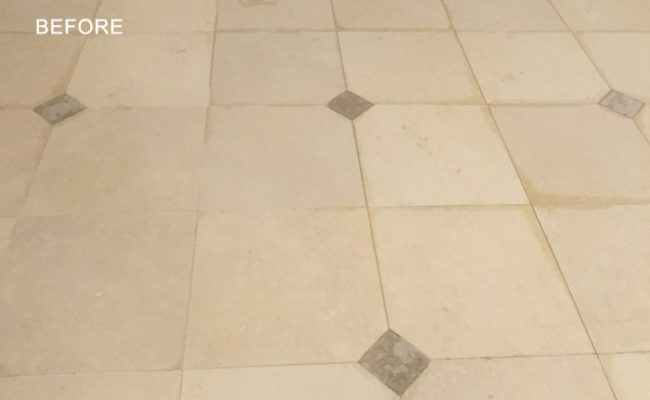 This close up shows the dull, damaged Crema Marfil marble floor. This is a close-up of the floor after being restored. What a beautiful floor! This image shows a truly elegant floor. Ideally, the appearance of the facilities of a country club ought to reflect the high standard lifestyle of its members. 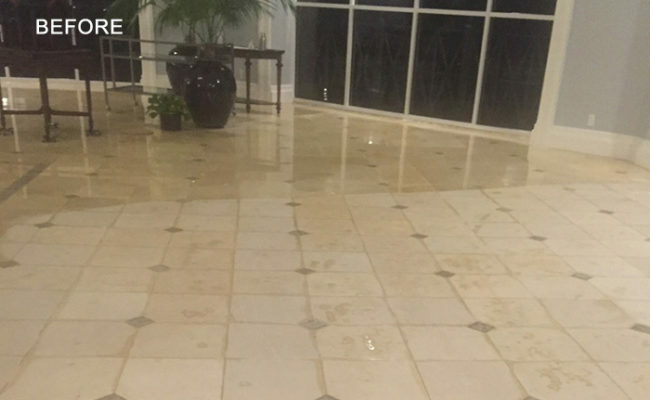 Unfortunately for the property manager of a Naples, FL country club, the high traffic and use of the main clubhouse entrance and lobby had taken a toll on its Crema Marfil marble floors. The gorgeous inlays were taking second stage to wear patterns, scratches, and a dull and drab-looking finish. First, we masked and protected the surrounding areas, such as carpeting, walls, and windows. Then we set to work honing the floor to remove the surface damage and reveal the brand new marble underneath. Finally, we polished the marble to a high gloss and applied a penetrating sealer to inhibit staining. That was fifteen years ago. 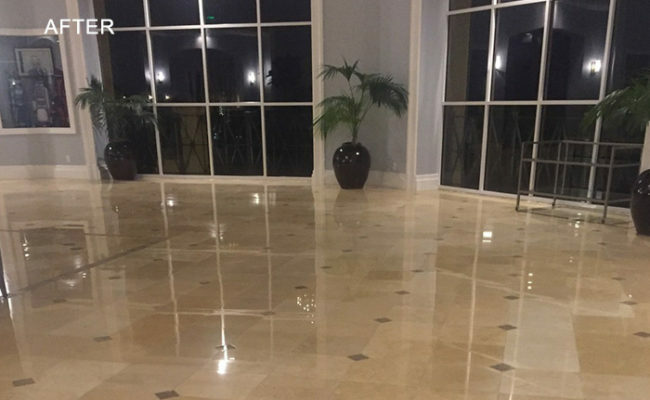 Since then, we've provided regular maintenance services so the marble consistently looks brand new and continues to serve as an elegant foundation for all the lavish clubhouse activities. 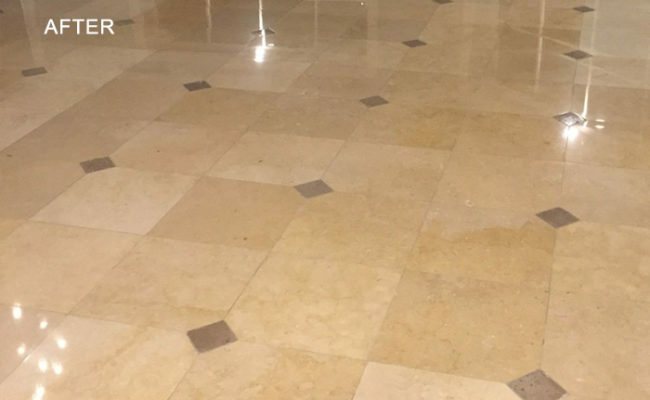 For a FREE estimate on marble floor polishing services throughout the Naples, FL area, use our contact form or call (239) 455-1167 today.